Owners of luxury London properties are having to knock more than £1m off their house prices to sell them because super-rich overseas buyers are giving the UK a wide berth due to “eye-watering” stamp duty and uncertainty surrounding Brexit. Mayfair-based property buying agent Garrington said homes in the capital’s most exclusive neighbourhoods have been reduced in price by an average of 9%. In Knightsbridge, the most expensive area, prices have been cut by an average of 12% – £927,000. Jonathan Hopper, managing director of Garrington, said sellers are having to take drastic action to realise the value of their homes. “There is huge discounting of super prime properties above £5m at the moment,” he said. “A lot are being discounted by 10 or 20%. 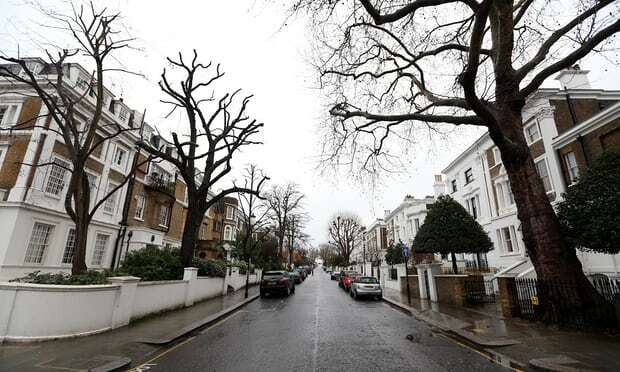 Henry Pryor, an independent luxury property buying agent, said sales of high-end properties had all but dried up and he expected sales to slow further as the date for Brexit approaches. “It’s a Siberian winter out there, and there are still significant icebergs ahead for the top end of the market as Brexit looms closer,” he said. The overall property market is also suffering with the number of homes changing hands in December falling to 99,100, the lowest level since November 2016, according to data published by HM Revenues and Customs on Tuesday. Hey Devinder, really interesting to read this. We were down in London last week (we live and invest in Manchester), and had a look around a few friends flips. One was a £5m penthouse and the developer is expecting a 9 month sale time just because of how slow the market is at the top end. Great article! Thanks Mike, we've had similar feedback from developers who are now looking outside of London, so that is good news for people like you and me. Let us know if there is a way that we can work together.